Mephisto 39 women's black leather sandals, Great shape, very comfy!! MEPHISTO ��NANOUCHKA�� White Leather Sandal/Slide. 39(US 8.5-9) EXC CONDITION! MEPHISTO Woman's Sandals ~ Size 10 Black w/ Box ~ GENTLY WORN ~ FREE SHIPPING!! Men's brown Mephisto Penny loafers EUR men's size 9 US men's size 9.5? 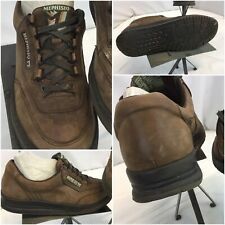 SPONSOREDMephisto Spinnaker Moc Toe Relax Brown Leather Deck Shoes Size 10 US.